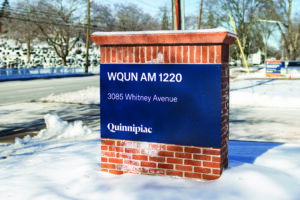 Quinnipiac’s community radio station, AM-1220 WQUN, will be ceasing operations to better match the ever-changing needs and interests of the student body, according to a memo released on the official MyQ website by Vice President of Public Affairs Lynn Bushnell on Friday, Jan. 11. The motive behind shutting down AM-1220 WQUN was due to tectonic changes and the increasing decline of students’ interests in the radio industry, according to Bushnell. In response to the closure of the station, many locals have taken to Facebook and other outlets to express their distaste with the decision. A petition has been created to save the station. The petition currently has 208 supporters with a goal of reaching 3,000 to spread awareness. According to the website, the petition, calls on the people of Hamden, North Haven and the Cheshire communities. Bushnell said that despite the station’s cease in operations that the university will continue to be a supporter of Hamden, North Haven and the region. 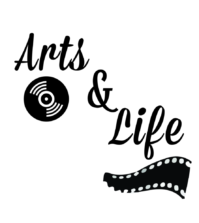 Associate Vice President for Public Relations John Morgan specified that the radio station will stop broadcasting on May 31 and officially close on June 30. Morgan also stated that the university will not be making any employees at the radio station available for media interviews.